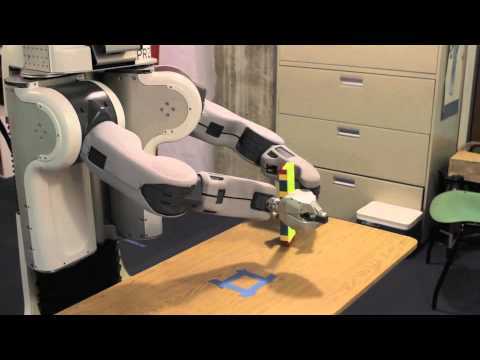 Most commercial robotic arms perform what roboticists call “pick and place” tasks: The arm picks up an object in one location and places it in another. General-purpose household robots, however, would have to be able to manipulate objects of any shape, left in any location. And today, commercially available robots don’t have anything like the dexterity of the human hand. At this year’s IEEE International Conference on Robotics and Automation, the premier robotics conference, students in the Learning and Intelligent Systems Group at MIT’s Computer Science and Artificial Intelligence Laboratory will present a pair of papers showing how household robots could use a little lateral thinking to compensate for their physical shortcomings.